Latin American nations led by Peru are negotiating a written rebuke of U.S. President Donald Trump after he said the United States was considering a “military option” involving Venezuela, as the crisis-stricken country prepares its own response. Trump on Friday threatened military intervention in Venezuela, a surprise escalation of Washington’s response to the nation’s crisis. Caracas disparaged the threat as “craziness” and its foreign minister was due to make a statement at 11 a.m. EST (1500 GMT). Peru was the first to condemn Trump’s threatened use of force and is negotiating a written response with other nations in the region, Foreign Minister Ricardo Luna said in a statement sent exclusively to Reuters on Saturday. The statement came the day after Peru expelled Venezuela’s ambassador in Lima. “All foreign or domestic threats to resort to force undermine the goal of reinstating democratic governance in Venezuela, as well as the principles enshrined in the UN charter,” said Luna. Peru under President Pedro Pablo Kuczynski has taken the toughest stance yet toward Venezuela’s socialist government. Venezuela is undergoing a major economic and social crisis, with millions suffering from food and medicine shortages, soaring inflation and months-long anti-government unrest that has killed more than 120 people. President Nicolas Maduro has faced withering criticism from around the world for leading the formation of an all-powerful legislature that critics call the creation of a dictatorship. He says it will bring peace to the Organization of the Petroleum Exporting Countries member. Previous U.S. administrations had brushed this off as politicized bravado meant to distract from Venezuela’s domestic problems. Under former President Barack Obama, the State Department in 2015 made quiet diplomatic overtures that led to several high-level meetings. 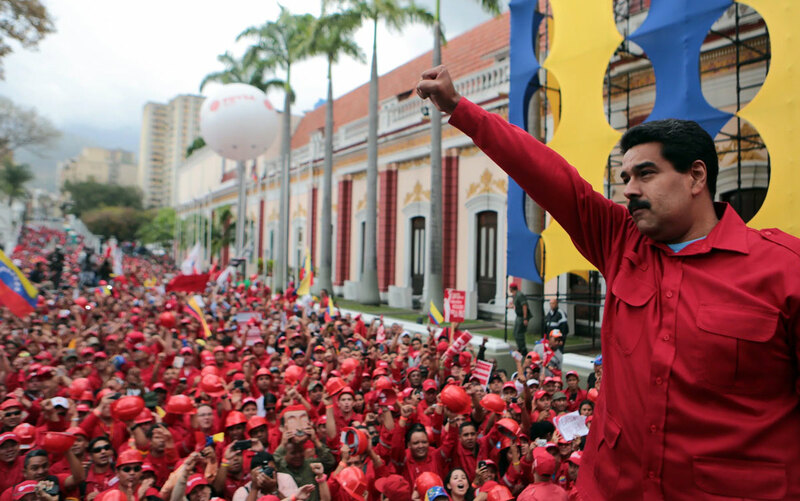 The effort ultimately foundered as Maduro hardened his stance against opposition critics. Venezuela’s opposition has remained quiet on the subject, stuck between backing the idea of a foreign invasion or supporting a president they call a dictator. Latin America Rebuke Trump’s ‘Military Option’ Threat to Venezuela. Caracas disparaged the threat as “craziness”. Peru, the first to rebuke Trump’s threats.